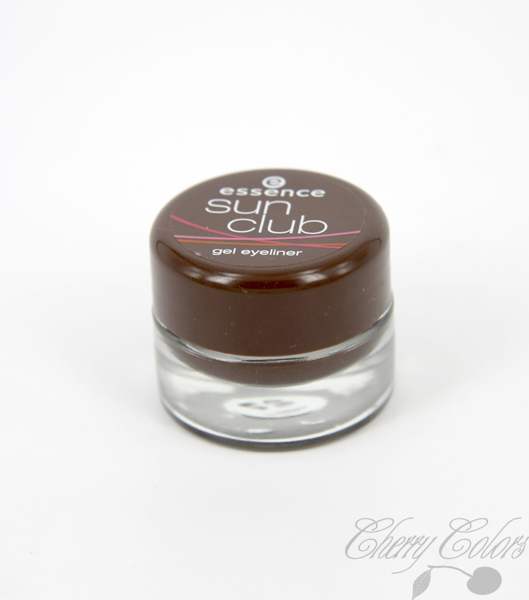 Essence BBC All Night Brown Gel Liner (Bondi Beach TE) - Cherry Colors - Cosmetics Heaven! 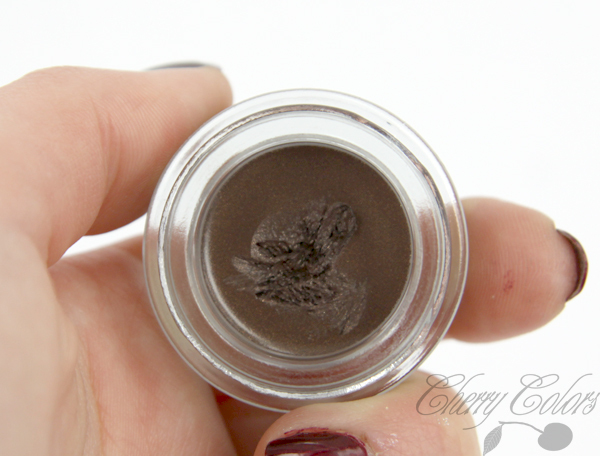 Last week I got this gorgeous brown liner from Essence. It's from the Limited Edition Bondi Beach. I really liked it in the pot, but when I got home and opened it, I realized some filthy girl put her filthy little finger in it!! And I couldn't go back and change it, because it was the last one :/. So I just cleaned with a tissue the part where the finger went. To the brighter news. 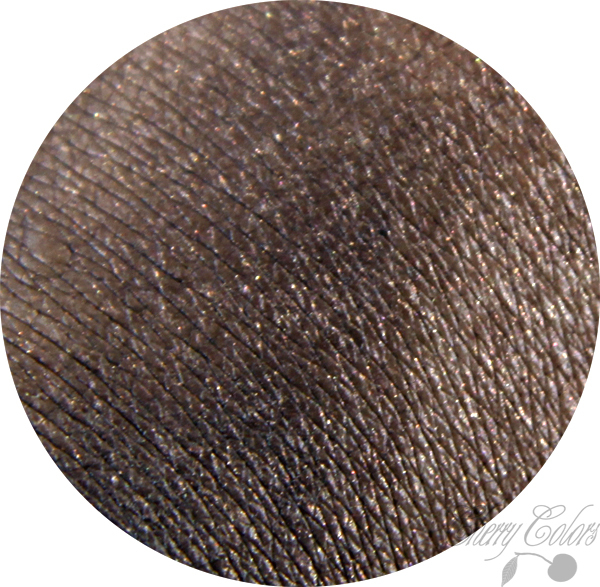 It's a divine medium brown with bronze sparkles in it. Gorgeous! And it's actually my 2nd gel liner ever. My first one is a fake mac (from ebay, haha! ), that works really well. 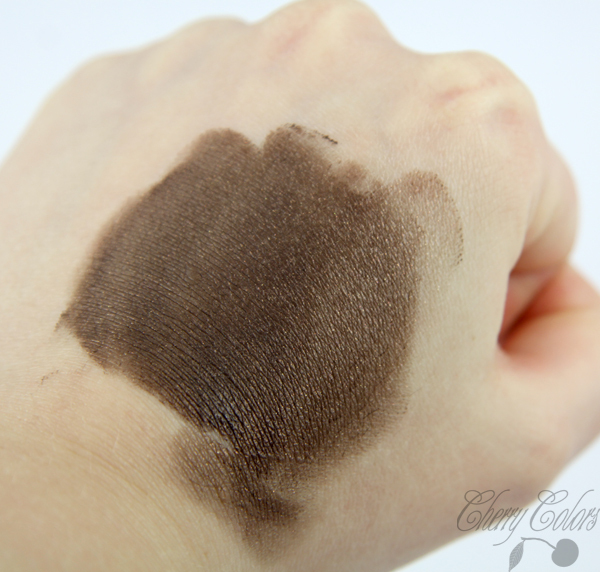 This gel liner is softer, so you have to be careful when you dip your brush into it. The packaging is super cute and small! Tiny tiny little thing <3. I'm in love with gel liner pots. 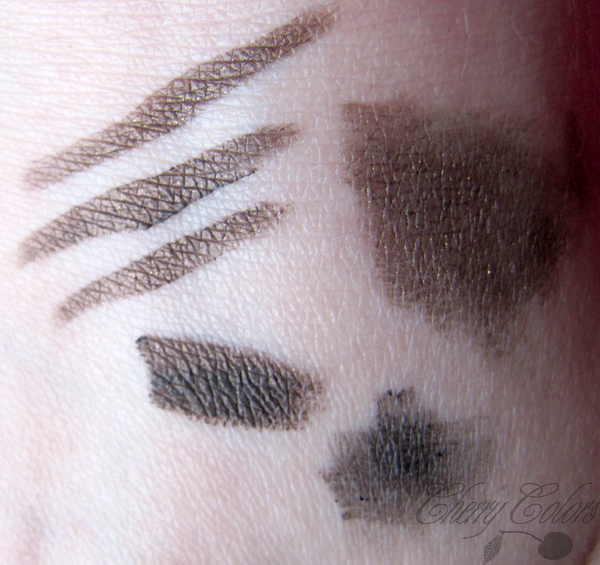 The lower black thing is my other black gel liner and on the left it's mixed with the brown one. I must say only one thing about it. It's waterproof. And I mean it. It took me a lot of scrubbing and soap to get it off my hands. And even then it left a tiny stain. But when it comes to my eyelids (which are oily) it stays put on all day, but not in the outer corners of my watery eyes. It easily comes off with oil or oil based cleanser. The great thing is that you can tone it down if you think it's too strong. On the picture I applied 1 thin layer of it and over I applied some eyeshadow (just because). Overall I think this was a great purchase!